Today, huawei held a kirin will fall media communication chip. 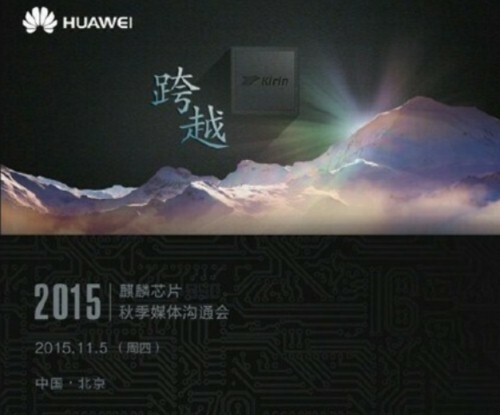 As previously expected, conference, huawei has brought its newest flagship mobile processor chip — kirin 950. Kirin 950 USES is 16 nm TSMC FF + technology, the four core 2.3 GHz A72 + 1.8 GHz core A53, pick up new MaliT880 graphics processor, performance improvement of 11% at the same time, power consumption reduced by 20%, graphics generation ability is increased by 100%. Photo performance, kirin 950 adopted the new since the research of the ISP. Reset the Camera system, support 14 bit double ISP, 4 times can improve throughput permeance, support the mixed focus technology, according to the pictures scene adaptive to choose the best way to focus, realize the shooting. At the same time also provides more filter effects for the user to select. Pick up new intellisense i5 processor can realize GPS, base station, WiFi, Sensor hybrid localization, the power consumption by up to 90%. For the user experience, kirin 950 on the depth of Boost performance and sustained performance optimization. Huawei said: when user operation, can do 100 milliseconds response, bring the experience of quick response to the user; General work condition, to ensure that each frame drawing at 1/60 seconds, achieve smooth BuKa experience. Support 4G +, at the same time, kirin all series chips will also support call (waiting for operators). Run points are at the scene view, kirin 950 also broke through the 8, 7420 higher than Samsung flagship chip Exynos near 20000. CPU integer, floating-point results are respectively 15075, 8923, and CPU single-threaded integer and single thread floating point for 3084 and 3060. 3D drawing (1920 x 1080) achievement 21048, 2D drawing is 1655, as a comparison snapdragon 810 grades are 19453 and 1619 respectively, the Samsung 7420 is 17910 and 1647. Kirin has in January 950, mass production in August began to stable production, starting with version will be published on November 26, huawei’s new flagship Mate 8.